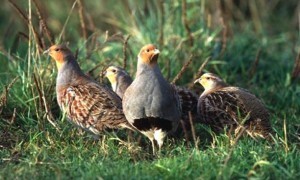 The Irish Grey Partridge Conservation Trust was established to promote the conservation of Ireland’s native game birds so that they remain an intrinsic part of Ireland’s Natural & Sporting heritage. 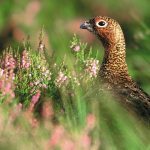 Ireland’s two native game birds, grey partridge and red grouse are now classified as red listed birds of conservation concern. One of the Trust’s objectives is reverse the decline of our native game birds applying a mixture of science and action. Over the past decade we have been instrumental in the recovery of Irelands naturally occurring grey partridge; our committee members have worked at the coal face of this recovery. 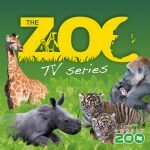 Why is the Trust’s Work important ? One of the core activities of the trust is to act in a supportive role to Government Departments, NGO’s, academic institutions and sporting or conservation organizations for the benefit of Ireland’s heritage of native game birds. 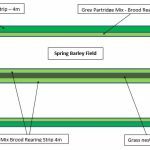 The Irish Grey Partridge Conservation Trust promotes the conservation of native game birds by undertaking research that is relevant to the conservation of native game birds. Another key objective is to conduct applied research into the management strategies that are applied to grey partridge and red grouse in an Irish context. 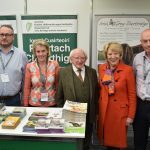 His Excellency President Michael D Higgins & his wife Sabina visit the Grey Partridge conservation project stand at the National Ploughing Championships.